"has been stored in a humid environment"
Avoiding these DIY missteps will make your switch to a treadmill desk a walk in the park. Wait. They cost how much?! …and so begins the road to a DIY treadmill desk. One of the greatest things about treadmill desking is that just about anyone can do it. Age, spare time, and physical fitness levels aren’t the barriers they often are with other fitness regimens. When it comes right down to it, cost is often the biggest remaining obstacle – and even it can be bypassed by a clever DIYer. However, it’s worth noting that not everyone is born a clever DIYer. We’ve seen our share of ingeniously hacked out standing and treadmill desks, but for each of those we’ve also seen five or ten ramshackle ergonomic deathtraps. For the sake of safety and sanity, we usually recommend buying dedicated equipment to all but the handiest of deskers; however, if you’re in the uncomfortable position of lacking disposable income and DIY chops, we’ve still got some basic advice for you. Read through, and check out some of the most common pitfalls you’ll want to avoid. 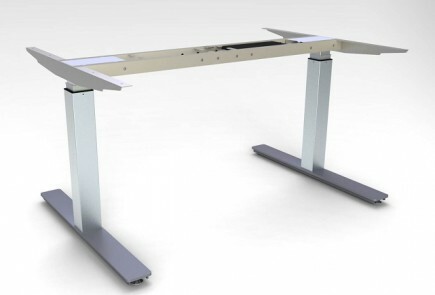 Treadmill desking used to be buried deep in its own geeky niche – but no longer. American workplaces have adopted treadmill desks with open arms, and that increased exposure also means increased information. Anyone setting up a DIY desk should start with research. This used to be a painstaking task, but we’ve made it easy for you – everything you need to know is on this website. By the time you get around to designing and constructing your desk, you should have a working knowledge of ergonomics, a good idea of what other DIYers before you have done, and best practices for when you actually get up and walking. We’ve seen far too many homebrewers doing things that would appall any knowledgeable desker – the information is out there, make sure you use it. Of course, if you’re reading this article, you’re already in the right place. Make sure to take a full tour through our DIY and Ergonomics sections in particular. 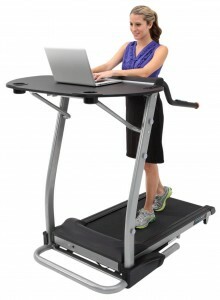 A treadmill desk without a treadmill is a desk – simple math. 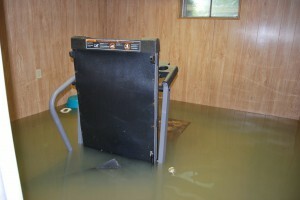 So while you’re planning out your new workstation, the first point to address is the treadmill. Purpose-built walking treadmills are an investment, but they’re worth it. However, many DIYers take a vastly cheaper approach; something we generally call “the Craigslist track”. …and so on. Visit this page for a more comprehensive checklist. Apart from that, apply common sense. Don’t convince yourself that damage is “just aesthetic”, and realize that the first several options you check out might not be worth the investment. If possible, try to find a used walking treadmill – or, better yet – a rehab treadmill that tops out at no more than 4 or 5 mph. Proform, Sole, Horizon, and a few other brands have decent reputations among DIYers. Search for expert reviews of the model you’re interested in and, if at all possible, see if other walking workers have used it. And prepare yourself for some alterations. Most running treadmills come with an elevated console and safety handrails. You don’t want those – remove them, and make room for a proper desk. Just…don’t do this. Please. Don’t. YOUR LAPTOP IS NOT AN ERGONOMICALLY CORRECT WORKSTATION. Keeping your screen and your keyboard at the same level is a recipe for disaster. If you decide to have your hands at the proper height, you’ll be forced to compensate with a less-than-healthy hunch – elevate that laptop to proper screen height, and you’ll find yourself doing a full-on zombie impersonation (like the unfortunate Exerpeutic model above), with hands held stiffly out in front of you. Neither situation is optimal, as you may have gathered. Get yourself an external monitor, an external keyboard, or both. But whatever you do, make sure you have a way to get some distance between your screen and your keyboard. Also be sure to build a station that can accommodate a correct setup. 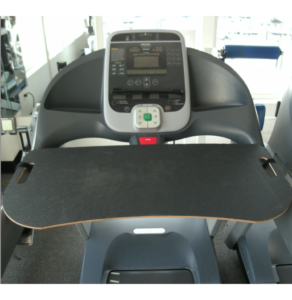 A board laid across the handrails of a running treadmill does not an ergonomic treadmill desk make. Full disclosure: my first standing desk was a pair of sawhorses, a couple 2x4s, and some cardboard boxes. It worked in that I was able to stand and type on it, but had some notable shortcomings. First – as we’ve discussed – miserable ergonomics. Second, a penchant for falling apart and sending my laptop on the opening leg of a 4 foot tumble. While the laptop never quite managed to meet the ground (I credit my catlike reflexes), it did manage to nearly stop my heart a few times. Don’t make my mistake. A standing desk or treadmill desk is something you’ll be using every day, it’s worth putting some time, and some cash, in to make it right. By far the most common DIY “desk” we’ve seen is just a board laid across a treadmill’s handrails, with a laptop plunked on top. Simple? Absolutely. Cheap? Undoubtedly. Safe? Good lord, no. Almost as bad are the spindly, toothpick-legged desks that are made to fit over a treadmill. One half-step forward ergonomically, but two steps back in terms of safety. It shouldn’t come as a shock that balancing a bunch of expensive, heavy equipment on top of an unstable platform isn’t a great idea. Especially not when you add the movement of a walker into the system. So don’t skimp on research, assembly, or materials. Ensure that what you’re making can handle the stresses you’ll put on it while walking. Quite awhile back, we ran across an extremely novel workstation. One enterprising desker had managed to set up a small pedestal on her fixed-height desk, where she then perched her laptop. The kicker? She was wearing roller skates, and sliding them back and forth while she walked. Now, we don’t mean to bash on this particular desker. She found a way to get upright and moving, and if it works for her, it works for her. Perhaps she has particularly excellent balance, or maybe she’s just one heck of a roller skater. Point is, you shouldn’t emulate her, unless you share those special qualities. Alternate active desks are keeping pace with the recent boom in popularity of treadmill desks, and that’s not always such a great thing. While one worker might benefit from standing on their head and typing with their feet, odds are that you might have a harder time with it. The point I’m trying to make is this: stick with what we know works. Standing desks have research behind them, as do treadmill desks. Bike desks are sure to be more extensively tested as time goes on, but haven’t received too much attention as of yet. Don’t even get us started on ellipticals and more exotic knee-killing, low back-straining options.